The Zimbabwean government has announced plans to keep gold and platinum mining companies up to 55 percent of their profit in dollars. This is an attempt to increase the viability of mining in the southern African country at a time of challenges foreign exchange shortages. On Monday, Deputy Minister of Mining, Polite Kambamura, said gold producers sell their production at a refinery subsidiary central bank now to retain 55 percent of sales in dollars, an increase of 30 percent previously. The threshold should gradually rise to 70 percent, he said. 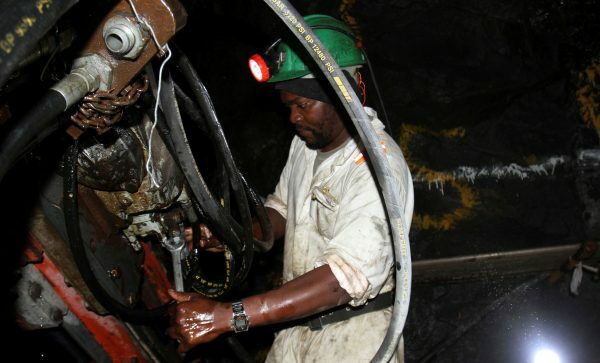 The central bank president, John Mangudya, said retention rates of the US dollar for coal miners and platinum and chrome had increased from 35 percent to 50 percent. "We have made the decision that there is viability in mining by ensuring that we do not kill the goose that lays the golden egg," Mangudya said during the publication of the results of an investigation into the state of mining. Mining accounts for more than two-thirds of Zimbabwe's export earnings, but the sector has closed a number of companies in view of the dollar crisis that has hampered imports of spare parts and other consumables. The central bank plans to set up a special fund to help mining companies with additional requirements for US dollars, but has not explained how it would work. The results of the study showed that, while directors were positive about the prospects of the sector in 2019, they were pessimistic about the government's ability to maintain a consistent and predictable mining policy.